Blue skies and a top quality field of over 70 riders made for another excellent staging of the ever popular CC Luton run Neil Gardner Memorial road race. The early action saw two riders break free for the first two of the laps with Owen James Owen James (BH Solidor) taking the first of the three race primes. By lap three the bunch was back together. Two riders then broke free on lap six, Robert Moore (Pedal Heaven) and Toby Parnell (Cambridge CC). With the race drawing close to the finish they were joined by Luke Ryan (Richardson’s-Trek). Paying for his earlier efforts, sadly Parnell dropped back to the bunch leaving Moore and Ryan to sprint it out up the final climb with Moore finding just enough to draw ahead for the win. The full write up and results list can be viewed on the BC website here. A superb days racing and a big thank you to race organiser Mike Jackson as well all the members and friends of CC Luton who turned up to help and support on the day. 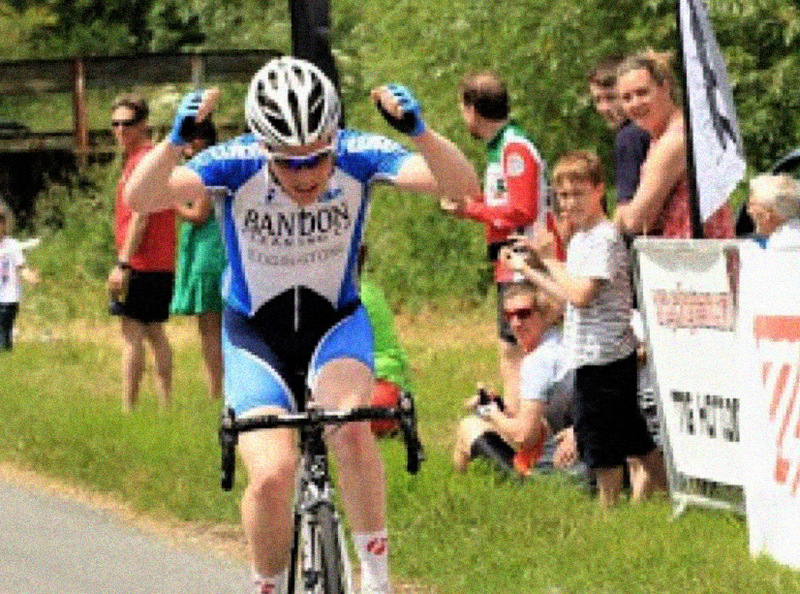 CC Luton’s Ashley Cox started his season with a fine win in the North Road Hardriders recently. 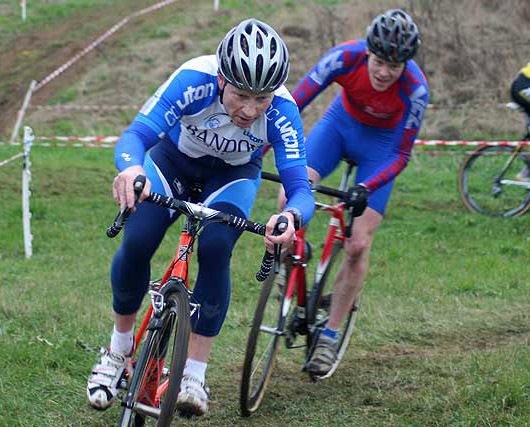 Also taking part in the event were Doug Coleman and Gavin Rumbles, fresh from his Central Cyclo-Cross wins. In less than ideal conditions Ash pulled out all the stops winning by almost a minute form his nearest rival, Ed Bradbury (Cambridge Univ CC). Doug Coleman finished 10th with Gav coming in 22nd. Well done guys. Lets hope its the start of a really good seasons racing for all of you! CC Luton’s annual reliability ride proved as successful as ever despite the slightly iffy weather. The event is part of the Chilterns Classics series and is always a popular diary date thanks to the excellent HQ facilities and fully signposted route. Spirits were high for the 120 or so riders who started the event with only a handful of those failing to finish. As usual, loads of positive feedback from those who rode on how well the event was organised. So a massive thank you to Paul Wickens – this years organiser, all the caterers, kitchen and HQ staff, those who gave up big chunks of their time and petrol to make sure the signs were up in time and taken down afterwards and everyone else who contributed to making this such a successful event. Now next year….if we can only get the weather right…or a few more mudguards! 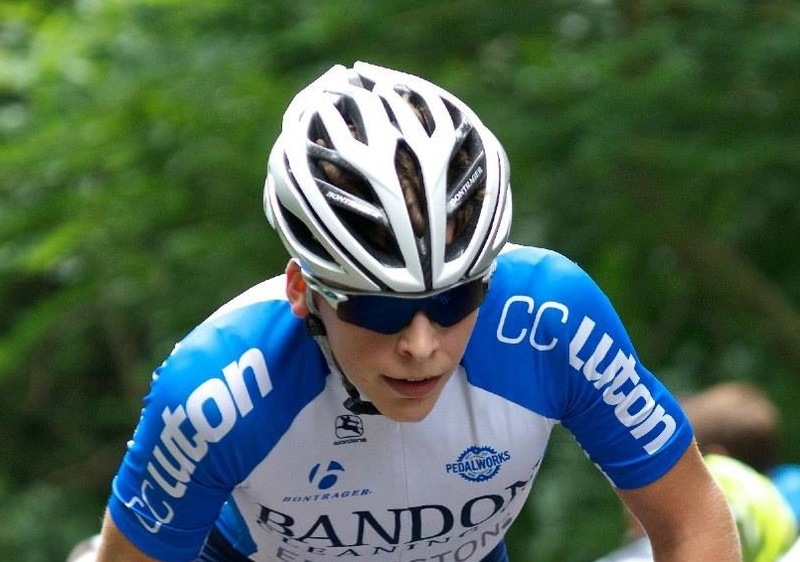 Luke Morgan has been selected to ride as and represent CC Luton as a ‘Future Star’ rider in all of the forthcoming Revolution Series Events. The first race is on the 26th of October at Manchester and ends in London with a double bill of racing on Friday 14th and Saturday 15th March 2014 at the Lee Valley VeloPark. For the first time the Series includes five rounds – Luke and the future stars will be riding in all of the evening events – the team Luke will be allocated to is yet to be announced. Tickets for the evening sessions at the Olympic Velodrome are selling out quick so if you’re thinking of coming along to cheer Luke on… get them soon! Gav rumbles to the top! After a gritty performance in atrocious weather conditions yesterday, CCL’s Gav Rumbles got a fine second place in the Hemel cross race. Thats enough to put him into the lead in the vets league. Well done Gav! A summer of classic tours! In true time honoured CC Luton tradition, its been a classic summer of epic tours starting with the now legendary annual presidential French odyssey and finishing with an absolutely monstrous 9 day tour of the Dolomites. 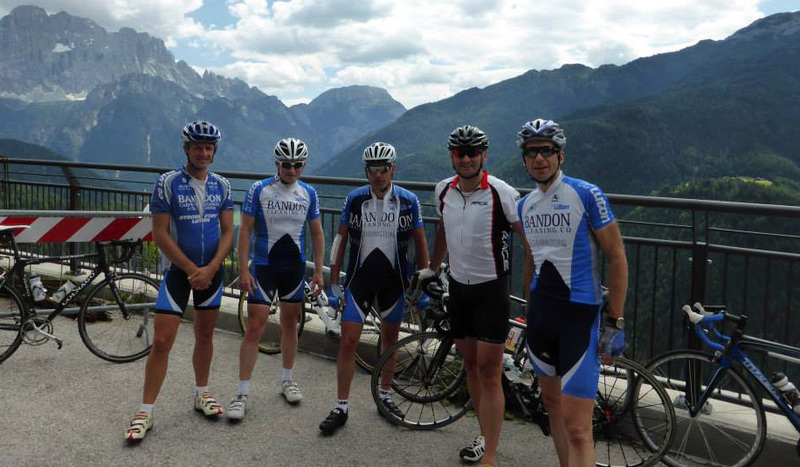 The latter taking in no less that 40 classic cols with 750 miles covered and 21,000 meters climbed in total. Expect a full report from our roving reporter on the road Mr Richard Mead soon. Its not often CCL can claim bragging rights on an international double gold medal winning world champion! On the very slight off chance that you may not have heard about it, thats just what our very own Ottilie Quince achieved this summer. A feat made all the more impressive when you consider it was done with the help of one high performance donated maternal kidney. Ottie had been very committed to a punishing training schedule and made huge improvements in her fitness in the run up to the word transplant games in Durban S.A. 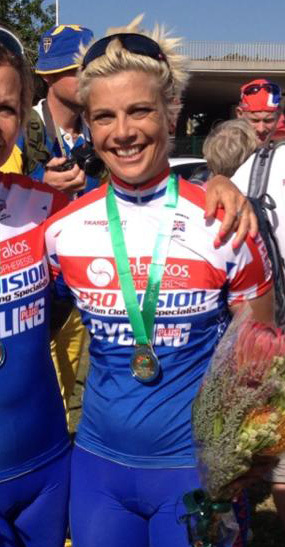 It all resulted in her bagging a brace of golds in both the time trial and the road race. Well done Otts, we’re all very proud of you! 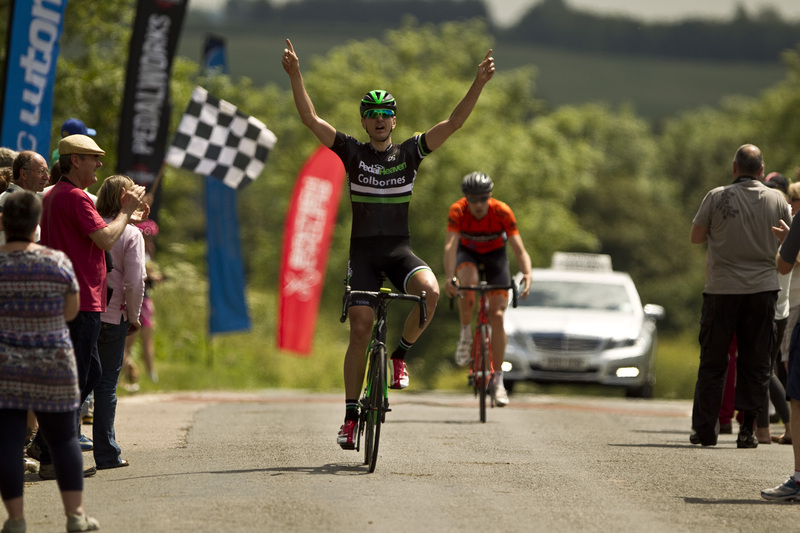 Douglas Coleman won the TMG road race in fine fashion this Sunday. After jumping clear of the break on the last lap Doug closed the 1:40 gap that Danny Axford from Arctic RC had gained solo. Catching Danny on the final hill he kept on the gas to take it by at least 5 bike lengths. Well done Doug!! NGMRR moves up another gear! Yet again fine weather greeted the riders of this year’s Neil Gardner Memorial RR promoted by CC Luton, with a quality field taking in eight laps of the 10.2 mile Astwood/North Crawley circuit and then being brought across the Cranfield University to a smaller finishing circuit where they would complete another 4 laps before getting the bell to a total distance of 94 miles it was always going to produce a worthy winner. After a slight delay in the opening laps when sadly a horse strayed onto the course and caused last year’s winner Dave Creeggan –Pedal Heaven RT to have to abandon with mechanical trouble, the race soon got back up to speed with several groups trying to break clear but another gaining more than 30-40 seconds. As the race approached the closing stages on the bigger circuit cracks had started to appear in the bunch with riders really starting to feel the strain of the high pace and distance of the race. As the race made its way onto the finishing circuit and group of 20+ riders had formed at the front that included riders from Team IG Sigma, Madison Genesis, CC Luton, Spin Rotor Primal RT, Felt, Colbournes-Hargroves RT, PMR@Toachim House, Corleys, Twenty3C, Rapha Condor JTL, Spirit Bikes Racing Team to name but a few. After several attacks but nothing managing to stick, Mark Baines from Spirit Bikes Racing Team made his bid for glory by attacking just before the bell with just under 4 miles to go. Proving too strong to follow he quickly gained 20 seconds and in the process caught some the lap riders from what was left of bunch and soloed in to take a fine win and take the £200 1st prize. The last two podium spots were taken by Tom Neale Spalding CC 2nd place and Mike Debney London Dynamo 3rd place (who in also picked up the prize for best 2nd cat kindly donated by Pedal Works of Dunstable) by holding off the fast sprinting bunch. 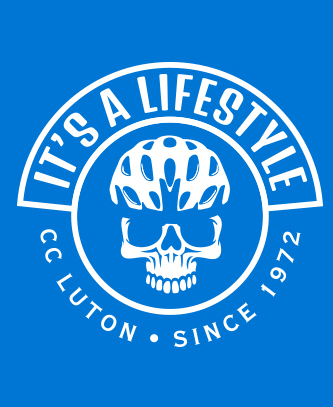 A massive thank you to this years organiser and all the members, friends and family of CC Luton who helped the event continue to be one of the best organised in the calendar! More pictures can be seen on our club FLICKR page. Phil Corley day at the Races at MK and managed to out-sprint a strong field and win the race. Easter Monday saw another good performance racing against a large strong field of 2/3 cats, and although an early break stayed away he sprinted to a commendable 12th position. Luke has been selected for the 2013 BC Olympic Talent Team and as a result travels around Great Britain on a monthly basis to attend training camps with the GB squad. Last month he competed in the Track World Cup Development event looking good wearing CC Luton skin suit! 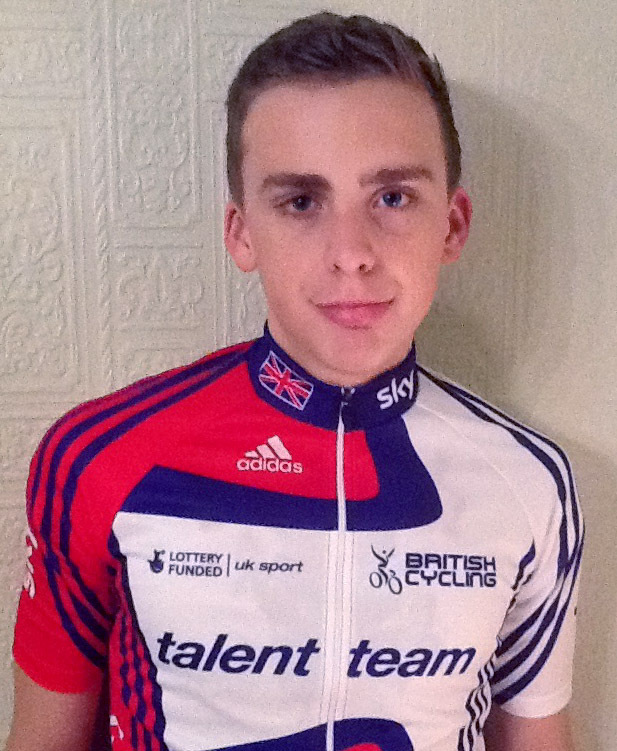 In May Luke is looking forward to making his first appearance as a GB rider in a 3 day stage in Holland. 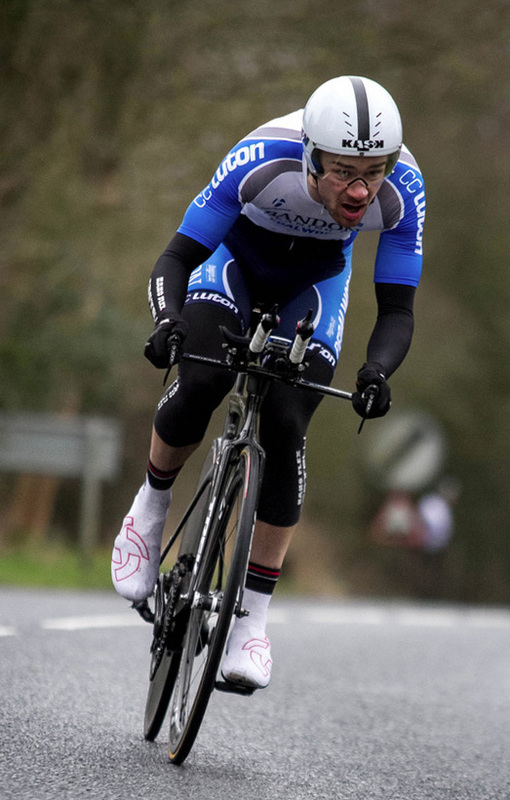 In between Talent Team training, 2013 season will be very busy as he travels to compete in the Tour of Scotland then on return starts the National Series of races. The club is delighted to be supporting Luke and we wish him all the best in his 2013 goals. 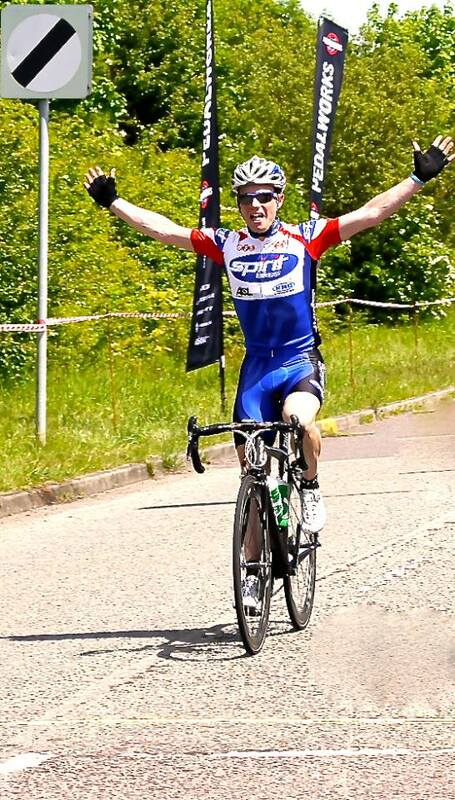 Doug Coleman notched up an impressive win in last Sundays Crest CC road race. A Cool but still day made for some lively action from the start. An initial break of 5 formed from the gun and proceeded to draw out a gap that grew to 4.30 by the halfway point. After about 40 miles, a chase group (of 5) formed and took about two minutes out of the bunch.At this point Doug attacked from the bunch with Wayne Crombie (elv) and bridged to the chase group. Over the next lap and a half he cut into the leaders gap, bringing it down to around two minutes, whilst picking up stragglers from the break. On the penultimate lap, he pressed on the finishing hill in order to split the chase group to form a more cohesive unit. The last lap consisted of the two long-time leaders being chased down for 1.30 by Doug and two others. With 4 miles to go they were in sight and were finally caught halfway up the finishing hill well within the final kilometre. Wayne Crombie led out the sprint and Doug came round in the final 100 metres to take it by a few bike lengths. A real nail biter!… well done again Douglas! Riders line up for the big Zero! 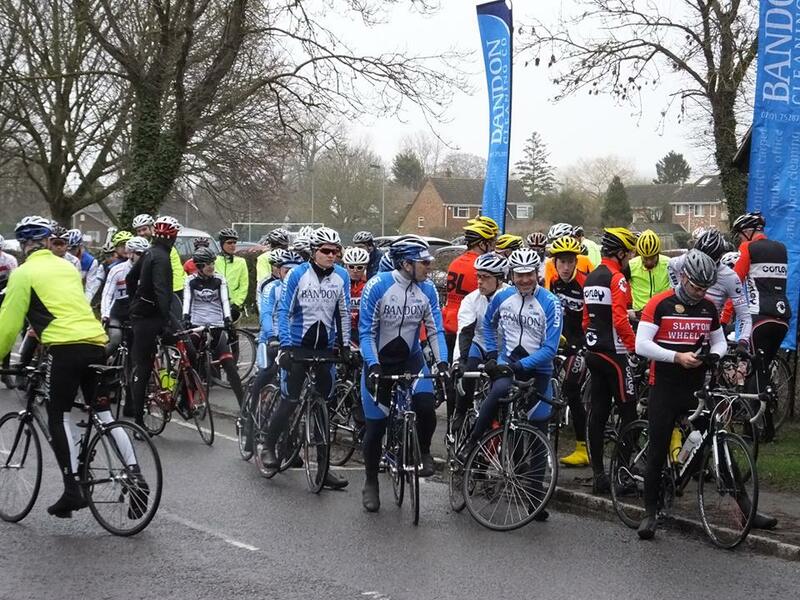 Over 85 riders braved sub-zero conditions and snow flurries to take part in CC Luton’s annual reliability ride today. The 100km event took in some challenging terrain made all the more so by the chilly weather. Congratulations to everyone who took part and made it back to Edlesborough for their very welcome and free hot drink. 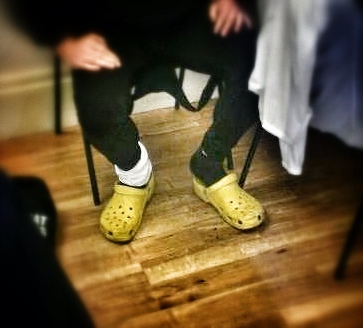 No major incidents thankfully, apart from some rather offensive footwear being modelled around the HQ! if anyone has any information that could lead to the identification and subsequent arrest of the wearer, could they contact the club secretary! A big thank you to all of those who turned out to to help with signposting, catering and everything else and a special thank you to Alan Galloway, this years organiser. We are now officially recruiting for next years! 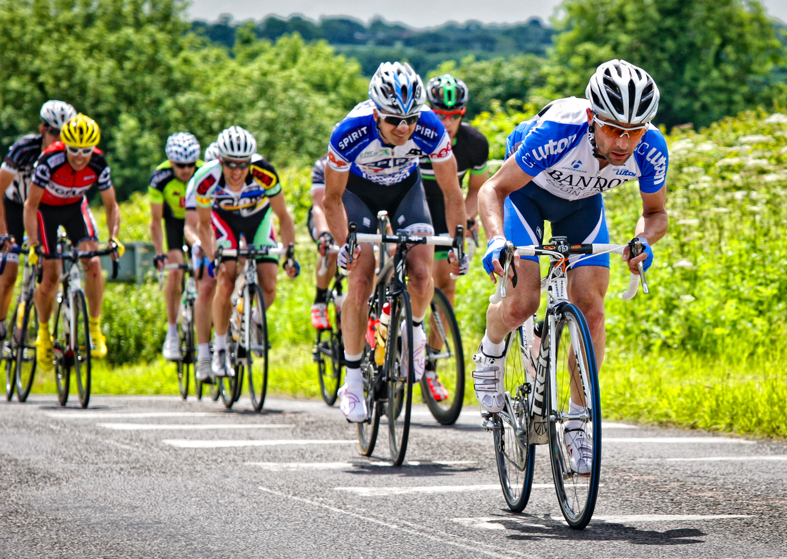 This coming Sunday sees the final reliability ride of the Chilterns classic series take place with the CC Luton event. Our Reliability is always popular and famous for its well signposted picturesque route, not to mention the impressive pre and post ride catering. Why not come along and have a go? 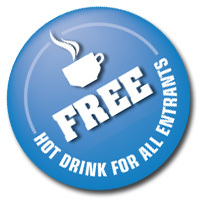 There’s even a free hot drink for all entrants! Full details and an entry pack can be found and downloaded here. Yet another CC Luton Christmas cracker! hostellers guide and style bible. Thanks to Chris Edgson for another superbly organised event, oh and of course to me for acting the fool once again. Hostel weekend goes off in style! Last weekends greatly anticipated annual hostel run was again, another resounding success! Ably assisted by 3 slightly synched Garmin sat navs and an on-form “taffy-nav”, this years trip to Oxford took in 60 miles of Beds, Bucks and Oxfordshire countryside with a lunch stop at the Butchers Arms in the picturesque village of Fringford. Always comedy gold, the midday pub capers proved too much for Anthony Goodwin to resist. 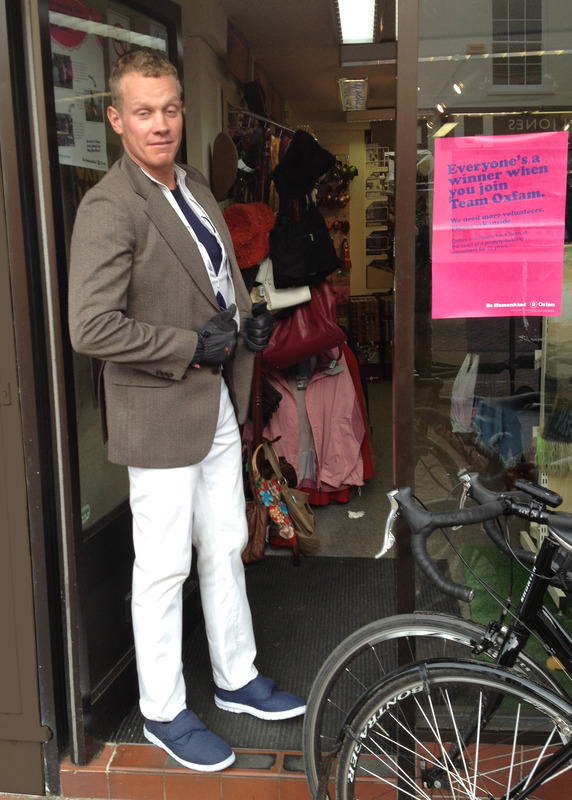 Although he’d intended to ride home afterwards he pushed on to the final destination with an evening outfit courtesy of Oxfam Bicester, transported with the help of a length of string, some plastic bags and the presidents rack!. This could well prove the format for future hosteling events…no panniers, a £15 budget and whatever charity shop civvies you can muster en-route…the anticipation is almost too much to bear! Have your say, do you think we should do it? 9 go mad at Silverstone! 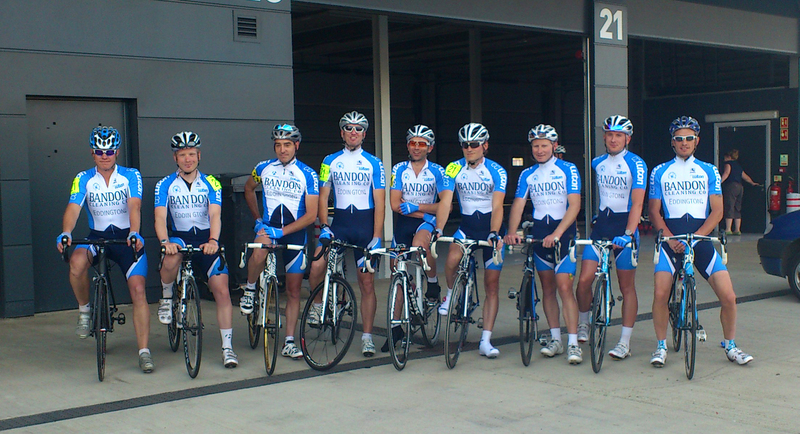 Friday August the 10th saw the CC Luton squadra take part in a Tour de France style 9Up Team Time Trial in aid of charity, on the spectacular Silverstone Grand Prix Circuit. 35 teams took part, completing 3 laps of Silverstone (approximately 11 miles). The time for the team is taken on the 5th rider to cross the line and our boys completed the course in a lung bursting time of 23.37 minutes finishing in 6th place. The team were given great support by several team members and their families who enjoyed a fantastic sunny evening watching the event. Al moves up a level! 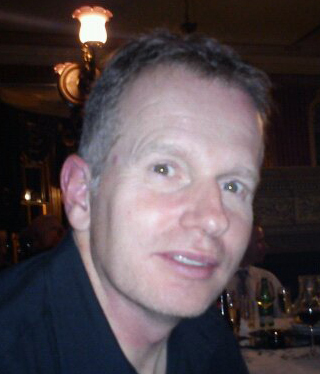 Congratulations to our very own Mr Alan Galloway who has recently passed his level 2 track coaching course. With the levels of interest in track racing within the club on the rise, and Alan still very active in competitive track racing, we’re pretty sure his new skills will be very much in demand. Watch this space for further details. Coaching corner will be updated as more information becomes available. A quality field lined up to contest the 12th running of the Neil Gardner Memorial Road Race held in honour of CC Luton’s legendary coach with a race over 86 miles around Astwood and North Crawley in Buckinghamshire. Given that the weather was warm and the winds mild, the consensus amongst the assembled riders was that, as it had done in similar conditions two years ago, the race would stay together and end in a bunch gallop. For the first few laps, it seemed that this would be the case, as the peloton averaged 27mph, deterring any speculative attacks. 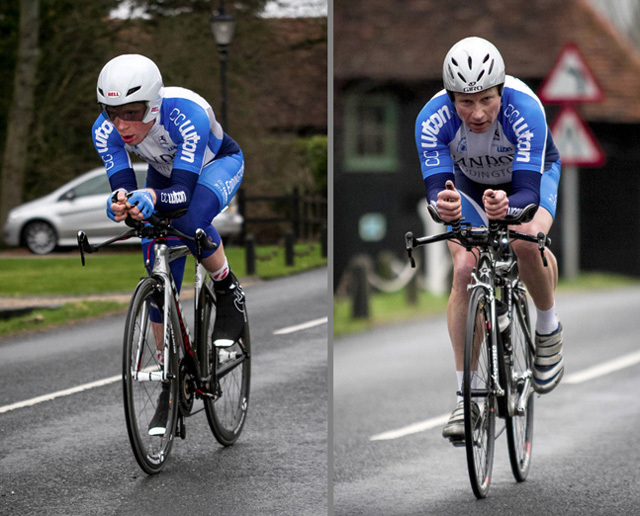 Then with 25 miles covered a quality duo, comprising Jack Waller (Teamwallis CHH Racing Team) and Matt Jones (Team Corley Cycles) attacked and rapidly gained 40 seconds. It looked like the move would have the potential to succeed, but as there were several strong teams in the bunch, notably Pedal Heaven, Twenty3C Orbea, CC Luton and Primal Europe, Waller and Jones were reigned in after a lap of freedom.As the race reached half distance, the elastic finally snapped, and 16 riders broke free. This escape contained several local riders, including Mike Wragg and Richard Wood (Team MK), Roy Chamberlain and Richard Cartland (Team Corley), James Fox (CC Luton) and his brother Simon (ViCiOUS VELO), as well as Tim Elverson and Dave Creeggan (Pedal Heaven), Dean Shannon and Andy Lyons (Twenty3C) and Tom Stockdale (Primal Racing). After a settling down, the break went about making good their escape. However, a tractor on the course with a lap and a half remaining slowed their progress, enabling a chase group of 9, including Doug Coleman (CC Luton), Jones and Ian Knight (Team Corley), Mark Baines (Spirit Racing) and Jon Shubert (High Wycombe CC) to join up, as the bell sounded for the final lap. and Shannon on the floor and Richard Wood distanced from the other three. 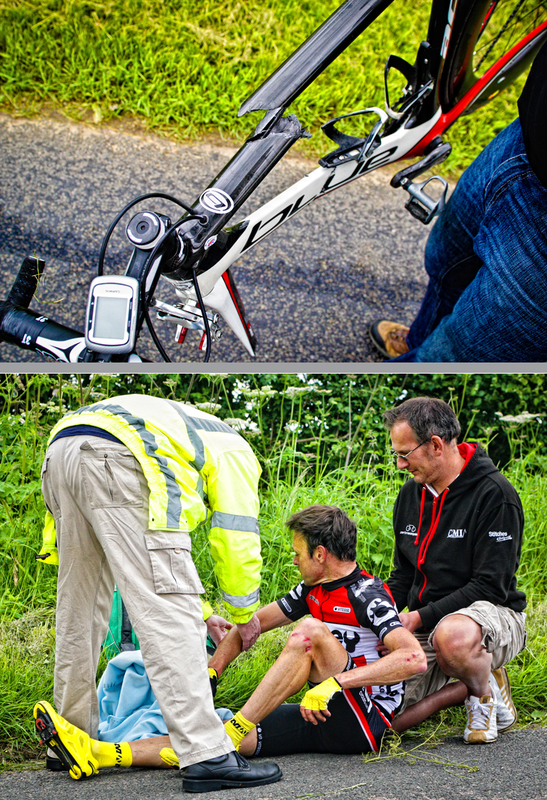 Indeed, the impact was so severe that the Corley rider’s bike was broken in two. Over the final 150m uphill drag to the line, Creeggan impressively and easily finished first ahead of Knight and Cox, with Richard Wood rolling over the line in fourth moments later. Chamberlain was unable to complete the race, although thankfully his injuries were not severe enough to require a trip to hospital. Shannon was only able to cover the last 150m on foot and ran over the line with his bike as the remnants of the peloton crossed the line a minute later. A big thank you to this years organiser Richard Mead and to all those members of CC Luton and their families that turned out to help make the race such a success! 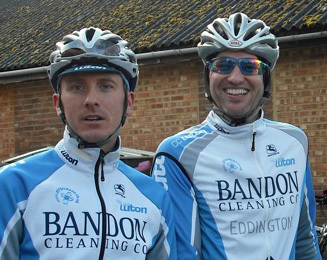 On Sunday 6th May, Mike Jackson and James Fox lined up for the ECCA Festival Road Race in Radwinter, Essex. After a patchy start to the road season, it was finally time to see if they were worthy of the 1st Cat status each gained in 2011. The unseasonally cold weather that blighted England over the bank holiday weekend meant that for the first time each could remember, the chaps started a race in May wearing armwarmers, kneewarmers and full fingered gloves. In hindsight, adding jerseys and shorts to this ensemble would probably have drawn fewer glances, but there you go! The competition started with a cagey air to it- with only five elites, Jason White, Andy Lyons, Russell Hampton, Andy Griffiths and Jake Hales, taking the start, and a distance of 87 miles, over gently rolling roads, the majority of the field probably felt that they stood a chance of riding away with good placings. 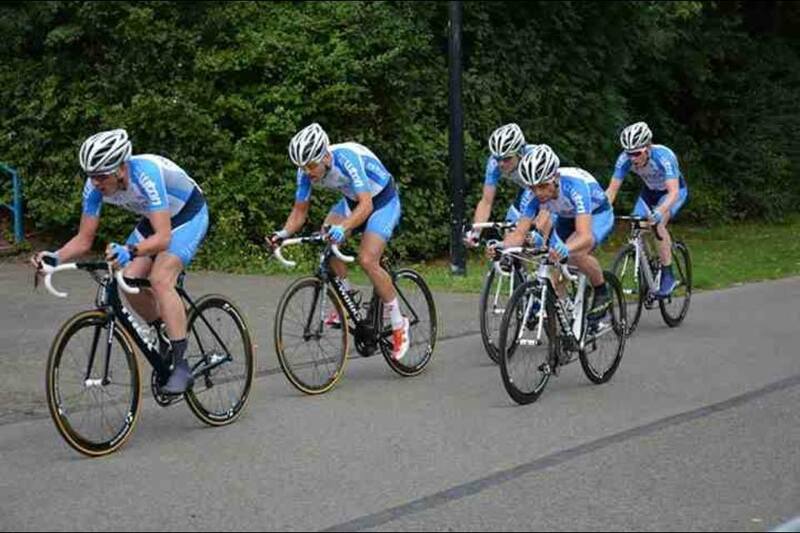 All was quiet for the first 20 miles, as the bunch assessed the course and wind direction on this new circuit. Then, Griffiths, White and Hampton attacked and rapidly made progress, with James, seeing the danger, attempting in vain to solo across to the trio. Mike then had a salvo of his own, working with a small group to try to bridge to the leaders. Unfortunately, the rest of the break lacked Mike’s strength and the escape faltered. Re-absorbed by the bunch, he and James organised the chase, hopeful that the ambitions of the many would be stronger than the quality of the few. And with the pursuit set in motion, they slipped backwards to save their legs for later on. Within 30 miles, the escapees were in sight, however, just as they were caught, Hampton jumped again and was next seen by the bunch at the finish- an impressive victory. For the rest of the field, the race became a war of attrition; attack following attack, and CCLuton present on each one, though none made much headway. With a lap and a half left to race, Andy Griffiths, the 2010 under 23 national time trial champion, moved to the head of the bunch intent upon bringing Hampton back. In an awesome display of riding, he dragged the peloton along at 33mph, causing many already tired legs to ache even more. Then, following a flurry of attacks and with 7 miles left, Griffiths struck out for a final time; James cannily latching on to the move. 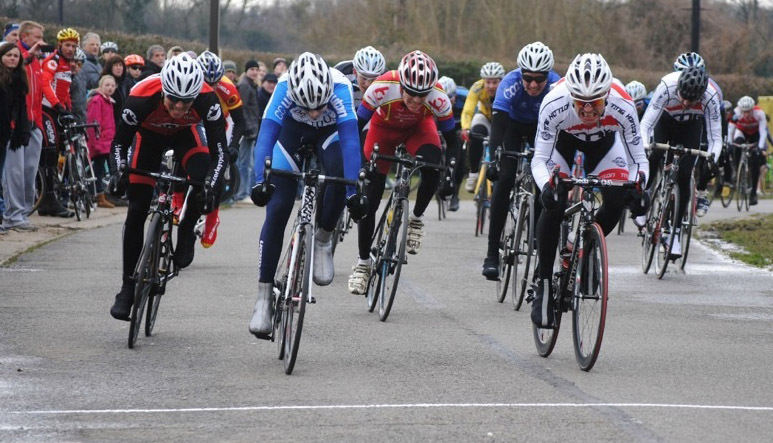 Mike, near the front of the bunch, blocked impressively allowing the duo to rapidly gain 2 minutes on their pursuers. At the finish, Griffiths proved the stronger man, beating James, a mere 12 years his senior, by half a bike length. The remnants of the bunch sprinted for 4th, Mike contesting it and being rewarded with an excellent 8th for his efforts. Arguably, the most disappointing aspect of the day was the organiser’s inability to hold a prize-giving ceremony. The top 10 waited for a full hour and 20 minutes in the race HQ, only to be informed that prize money would be sent on. We are now close to the start of another Track League season – Friday April 20th. Open track training sessions on Friday April 13 and Monday April 16th are there to get your track legs spinning 7.00 to 9.00pm. Can you also please fill in the Track League Registration form and either bring it to a track training session or to the first League meeting – this will be a great help and reduce the pressure at signing on – it will also give you more time to warm up on the track rather than standing in a queue to sign on! 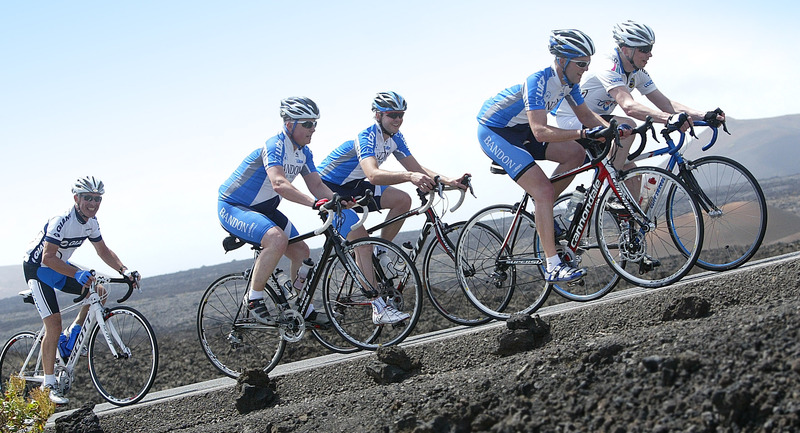 This years pre-season training camp saw a number of CC Luton riders head off to the Club La Santa resort in Lanzarote. Catering for all types of athletes, the resort caters for everyone from triathletes to road cyclists as well as running various fitness and water based activities that partners could enjoy as well. A fantastic week, with a really good mixture of hard, challenging rides, running and swim training as well as the odd fitness and stretching class….oh, and the occasional cake/beer/tea stop! 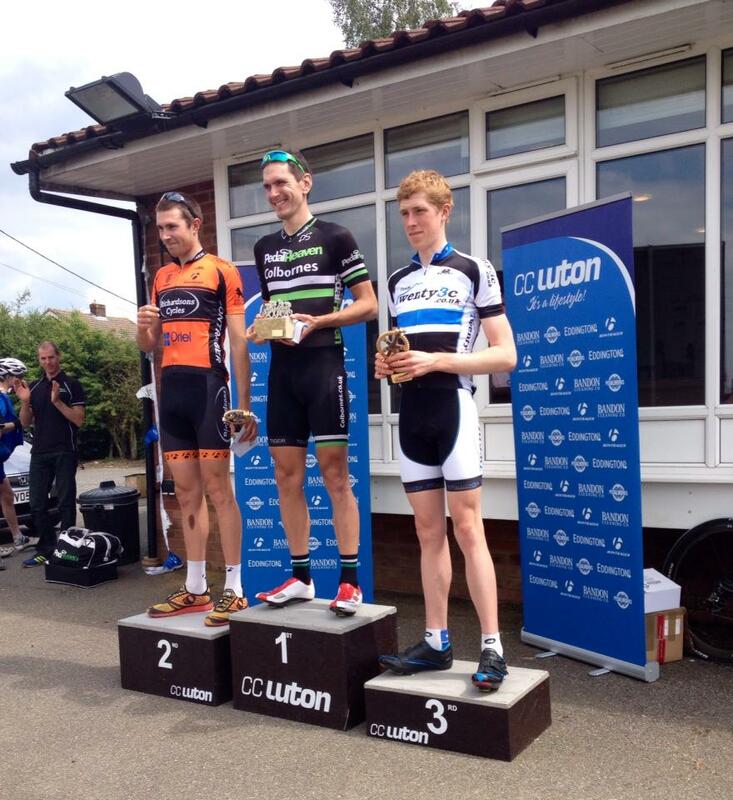 New CC Luton rider Douglas Coleman came a very creditable 6th in last weekends Peter Young memorial road race. For the first lap and a half Doug was suffering at the back. Eventually things got a little easier and he found himself with some room and bridged a gap to two leaders. The break was soon joined and then passed by 7 others including Steve Griffiths and Andrew Hastings amongst others. Dougs break went hard for about 30 mins to establish a gap. on the prime laps whilst he conserved his energy for the gallop. Lead by a couple of over enthusiastic riders the group rode the next 60-70 miles with 8 riders at a even but fast pace. On the finishing circuits Wouter Sybrandy came across with Ashley Cox to make a group of 10. Remembering his lesson from last years race and knowing it was a hard finish Doug just let the big boys do their thing. After a few attacks, Steve Griffiths got a gap of 10 metres and rode away with no concerted chase behind. Doug dug in for the final sprint too far back but still gained a few places to hang on for 6th. Well done Douglas!…lets hope its the start of a great season’s racing! 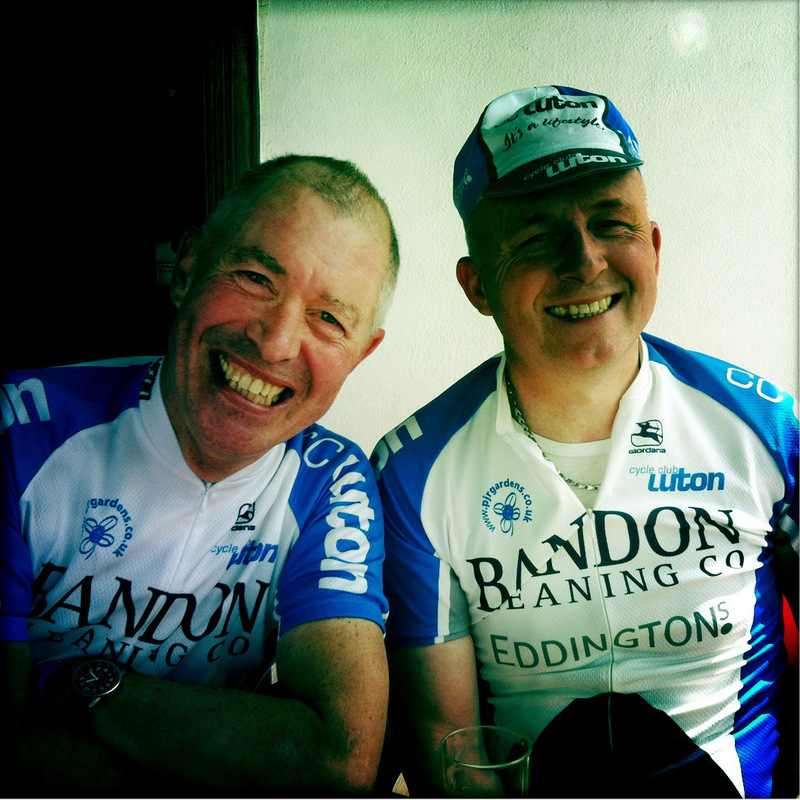 Last Sundays’ CC Luton reliability ride was another resounding success! A smoothly organised very well sign-posted event received many compliments and positive comments from those who took part. 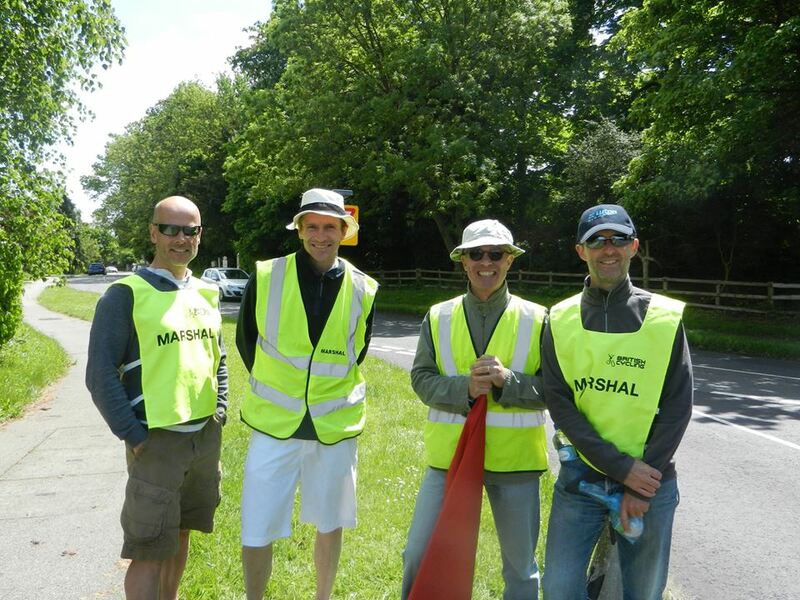 Helped by excellent weather, not to mention some superb catering, there was a record turnout on the 100km course. A BIG thank you to this years organiser Leigh Marmon and everyone else who contributed to making the day such a success. The only cloud on the horizon on the day was CC Luton rider and major sponsor Glenn O’Brien’s crash just outside Chesham! Glenn came down quite badly on a tricky descent and is at present in the L&D Hospital suffering from a broken collarbone, scapula and three broken ribs. Thats’ got to be a CC Luton record. Here’s wishing Glenn a speedy recovery. 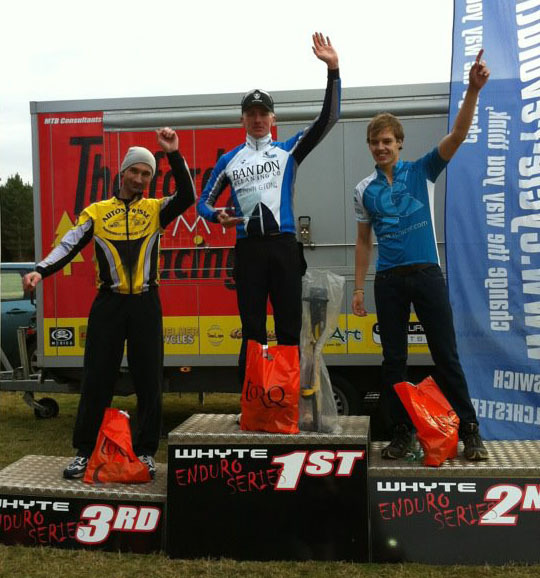 In other news our very own Mike Jackson won the Thetfrod 4hr enduro series this Sunday. Mike has ridden consistently well over the whole series and a win was always on the cards. Well done Mike! here’s hoping that winning form continues through the rest of the season. Happy new year Mr Jackson! Mike Jackson and Gavin Rumbles are having a great start to their 2012 season. 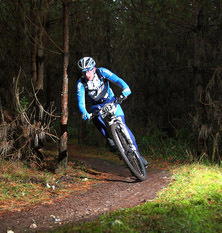 Following on from their excellent joint 2nd places at last weekends Brass Monkey Enduro, Mike was again in action this Sunday in the penultimate round of the Thetford Winter Enduro series. with a 2nd and a win already under his belt, Mike went into this round with a 15 point lead in the series but with two rounds still to go couldn’t afford to sit back and had to ride aggressively from the start. After pulling away from the field within the first two laps, Jackson soon found himself out on his own where he stayed for the first three hours! However, starting to tire going in to lap 6 of 8, Jackson was caught by the first round winner Richard Jones and had to dig deep to keep up with the young Elite rider. Not wanting to give up the chance of another win, Jackson stuck with Jones until the final climb to the finish line where he managed to pull clear to win by a 30 seconds and help keep his lead in the series. The final round takes place on February 26th, were Jackson will hope to bring home the series win and rack up over 18 hours and 240 miles of off road racing.